New York’s condominium statute permits the tenant under a lease for commercial uses with a term of at least 30 years to turn its leasehold interest into a condominium. The primary reason lawyers use leasehold condominiums is to permit a not-for-profit tenant to benefit from a property tax exemption under Section 420-a of New York’s Real Property Tax Law. Section 420-a provides a tax exemption to not-for-profits which own property in New York. Section 339-e (11) of New York’s Real Property Law defines property as including land held in condominium form used for non-residential purposes which is subject to a lease with at least a 30-year term. A February 2009 letter ruling from the city’s Department of Finance read the two statutes together and confirmed that since a leasehold condominium subject to a 30-year lease is property under the Real Property Law, a not-for-profit holding title to a condominium unit in that leasehold condominium would be entitled to the Section 420-a exemption. The not-for-profit must apply for the exemption to DOF and must regularly renew the exemption. Even in this simple scenario, many issues may arise. For example, only that portion of the property used for the “exemptible purposes” of the tenant are eligible for the tax exemption so if the building includes for profit retail, for example, the tax exemption does not apply to that space. How should the building be divided up? Might the tenant wish to sublet a portion to a for profit subtenant? If so, the units should be divided to accommodate that possibility. Since many lawyers are not familiar with leasehold condominiums, the tenant’s counsel may need to explain the structure to the landlord’s counsel. Tenant’s counsel will need to be sure that the lease permits an assignment of the lease to the board of managers of the condominium since New York condominiums are typically not incorporated. Landlord’s counsel must be certain that the condominium regime applies only to the leasehold estate, not the fee estate. A much more complex structure is possible where the not-for-profit tenant leases only a portion of the building but that arrangement is beyond the scope of this article. Leasehold condominiums may also be used in other circumstances to divide up a leasehold estate to create separate tax lots and ownership of the leasehold estate, but those are rare due to the complexity and difficulty of protecting the various parties from the other parties’ defaults. One area of debate is whether the words “devoted exclusively to non-residential purposes” in Section 339-e (11) mean that no residential purposes of any kind may exist in the building or that the condominium units themselves may not be individually sold as residential apartments. I have heard that some lawyers have obtained no-action letters from the attorney general for a single large residential unit consisting of a group of apartments constituting affordable housing but not for market rate housing which, of course, is a distinction not in the statute. 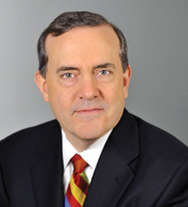 Thomas Kearns is a partner with Olshan Frome Wolosky LLP’s real estate department, New York, N.Y.